A day at the beach, a frisbee game at the park, or a picnic with friends while the sunsets is a perfect summer day in Northern Michigan. Our many parks and beaches make it easy to find a new place everyday to enjoy some of Michigan's best outdoor settings. What kind of park are you looking for? 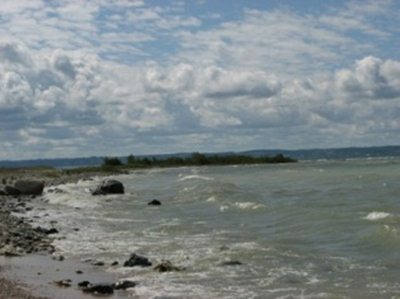 Petoskey State Park has everything from a fabulous beach to camping. Magnus Park in Petoskey has camping and picnicking. Zorn Park and Zoll Street Beach in Harbor Springs have beach settings and picnic opportunities. Wilderness State Park, just south of Mackinaw City, has great hiking and camping and wonderful cabins for winter snowshoe or cross country ski weekends. Middle Village Beach, just outside tiny Good Hart, and the Cross Village Beach, provide quiet opportunities for enjoying the water. Sturgeon Bay has spectacular dunes and a wonderful beach to walk or swim. Crooked Lakes' beach area just off U.S. 131 provides a warm inland lake with terrific swimming. Petoskey's Pennsylvania Park is the place for Tuesday and Friday Concerts in the Park during summer months as well as the renowned Art in the Park in July. Petoskey's Bayfront Park has everything from a break wall to walk along and the Little Traverse Wheelway to bike through plus it hosts the Festival on the Bay each August. The Winter Sports Park boasts a sledding hill and skating rink. Harbor Springs has a Bluff View park at the entrance to the city. Just across the street, a ice rink/skateboard park joins three softball fields and walking trails. Parks? What kind would you like? We have nature preserves, beaches, city parks, tiny parks, wild open spaces and wonderful opportunities for a variety of leisure activities. Want to see deer up close? Visit this special spot, the Harbor Springs Deer Park.